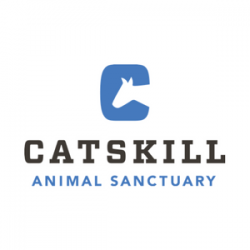 Catskill Animal Sanctuary is a 148-acre refuge in New York's Hudson Valley for eleven species of farmed animals rescued from cruelty, neglect, and abandonment opened in 2001 by founders Kathy Stevens and Jesse Moore. In addition to direct animal aid, the Sanctuary offers signature programming aimed at encouraging our guests and the world at large to adopt a plant-based lifestyle. Programming includes customized tours, a vegan cooking program, mentor and youth leadership programs, which are positioned to become national models. In addition to programming, the historical Homestead building serves as a Bed and Breakfast venue for guests to enjoy a more in-depth and personal experience of the Sanctuary.